Annie is effective and consistent at hitting, blocking, serving and playing defense. She is our team captain on the court. 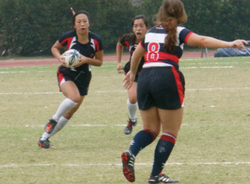 Annie's positive attitude is contagious and she is very communicative in games and practices. Athlete of the week for JV Boys VB is Hans Chen. Hans plays the position Libero. He made a game saving play by digging a hard spike in 2nd game of the China Cup. He also showed great leadership through out the tournament. 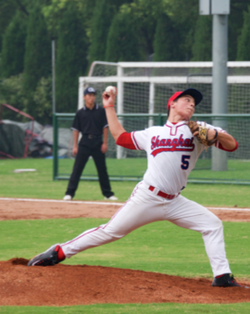 The JV boys baseball team are just finishing an outstanding season with 8 wins and 4 losses, a 3rd place finish in the HK Invitational tournament and a 2nd place finish at China Cup. Our JV team consists of 4 Middle School players. Our Player of the Week has to be Matthew Easton (gr. 8), who led our team at the plate and in the field with stellar play. 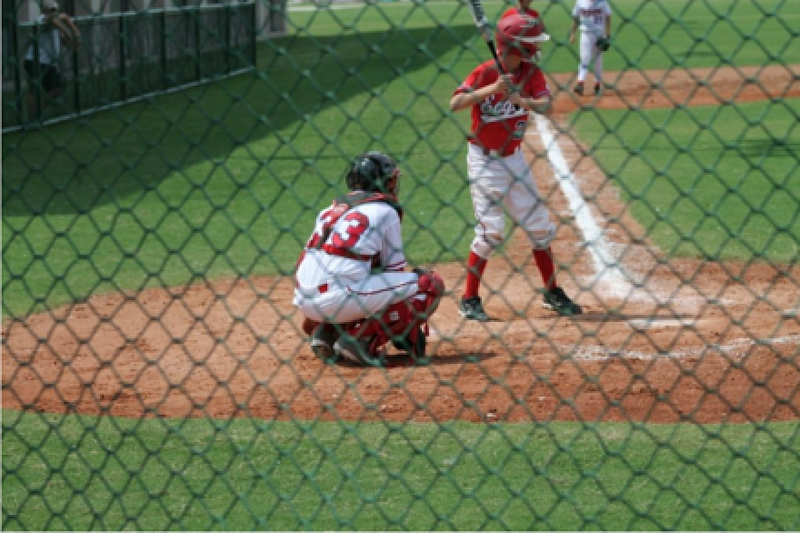 Hitting .652 for the season, stealing bases at will and catching anything that flies in center field, Matthew was a huge factor in our success. He certainly deserves being our Player of the Week. Jessica was the team MVP during the WAB2THEMAAAAAAAAAX Tournament. She scored the majority of the team's points. She proved a critical component in the games against PuDong on both defense and offensive. Auston hit a two-run homerun at Pudong and has been solid behind the plate. Kaizen has been phenomenal at shortstop and a great lead-off batter for us and he's only a freshman. Steven has been outstanding since the start of the season in Rugby. He has made all of his tackles and scored on numerous occasions for the team. In our opening games of the season his performance in the back line has been the difference between winning and losing games. Unfortunately he got a serious injury after almost scoring another try verses SAS Pudong 2 weeks ago. We wish him all the best in his recovery. Daniel continues to lead the team through his outstanding performance on the field and his careful reflection of the team’s performances when off the field. 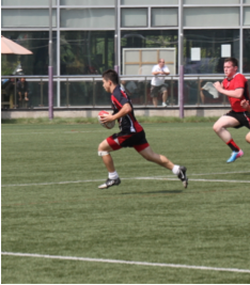 He has scored the most tries for the team this season and has a fantastic work ethic. Michelle was instrumental in helping the team retain the Shanghai cup with wins over SCIS Pudong (3-0), SAS Pudong (3-0) and Concordia (2-1) on Saturday. As captain she led the team capably both on and off the court also performing her role as setter with accuracy and precision. Her serving was aggressive and consistent gaining many points for the team. She is an excellent role model for all players on the team and fully deserves recognition as a leading sports figure amongst our SAS student body. Congratulations Michelle. 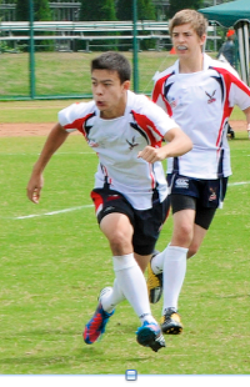 The athlete of the week must be Connor Yeh! Connor may be one of the smallest players on the Varsity Boys Volleyball team, but plays with confidence and ability. There is nothing Connor can't do. He jump serves with great technique, he sets up the big hitters with perfect sets and he even likes to spike and block as well! During the Shanghai Cup this weekend, the Varsity boys beat all three teams (SCIS, SAS Pudong & Concordia) in straight sets. There were a few times when Connors' powerful serves allowed the team to pull away with many valuable points. The team is playing a different formation this year and Connor has enjoyed being involved in everything. On Saturday the whole team came together well with many stars, it was hard to pick just one player. The JV baseball team is off to a great start with a 3-0 record this season. This team is a great mix of dedicated high school players and some very talented middle schoolers. Our biggest concern coming into the season was that we did not have an experienced catcher to lead the team defensively. However, that spot has been filled by our Player of the Week, Freshman Patrick Sullivan, who has quickly proven that he has the guts, determination and leadership qualities needed to fill this most important job. His diving catch of a foul ball in our opening game was the turning point in our come from behind 12-10 victory against Pudong two weeks ago, and today, despite sweltering heat, he proved that he owns this position, leading our team to an 8-5 victory. Not only that, he is hitting clean up and has hit hard and hustled harder, stretching singles into doubles and doubles into triples. We are ready to take our game to Hong Kong this week and turn some heads. Congratulations! Noah Browne is a team leader and star player on the JV2 Boys Volleyball team. He is our captain and has lead us to beat two school’s varsity teams. Noah inspires the rest of his team to play to their potential. Great job Noah! May Ko demonstrated her value to the team this past week by both her serving and her tireless effort as a setter. May always works hard in games as well as practice, and her contributions are invaluable to the success of the team, making her a worthy recipient of athlete of the week. Always giving the best during every race and placing 6th and 8th in APAC Cross Country. Jingxin and Charles for working hard throughout the season to constantly improve their times and running with spirit at Guam." Kristina Larsen's serving has been a key component to the success of the freshman girls volleyball team this season. This was especially true in the SISAC D-2 Cup Tournament, where Kristina had over 10 aces in our 3 wins against stiff competition. She had 3 of those aces in the Championship game, which we ultimately won in 2 games. Kristina is a tough competitor and a big contributor to the team. The girls varsity volleyball team finished second in the China Cup competition over the week after some excellent performances. Joanna was the teams best passer and had some amazing kills during the tournament. She was also one of our top servers and led by example on the court. Joanna deserves special congratulations for an outstanding performance. Varsity Boys Volleyball won China Cup today and Tom lead from the very first point. 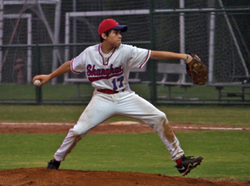 He played aggressively and encouraged all team members to never give up….and they didn't. They won 15-13 in the 5th set. Joy Xie was the winningest tennis player, male or female at this weekends, China Cup in Hong Kong. She won all four of her matches, both singles and double against HKIS and ISB. We are very proud of her and our team got second at the tournament mainly because of her excellent playing. Against a ferocious Hong Kong #1 doubles tennis team at China Cup this weekend @ HKIS, BC, along with Jaime Liu, managed win after being behind 3 games to 5, & down Quadruple Match Point! The final match score was 6-5, and won by by BC & Jaime in a very close 7-5 tiebreaker. In addition to his victories this week at China Cup, BC has shown great improvement recently, demonstrated exemplary sportsmanship throughout the season, and is humble in his victories. I am proud of all my players, but BC really stood out for the JV Boys tennis team.